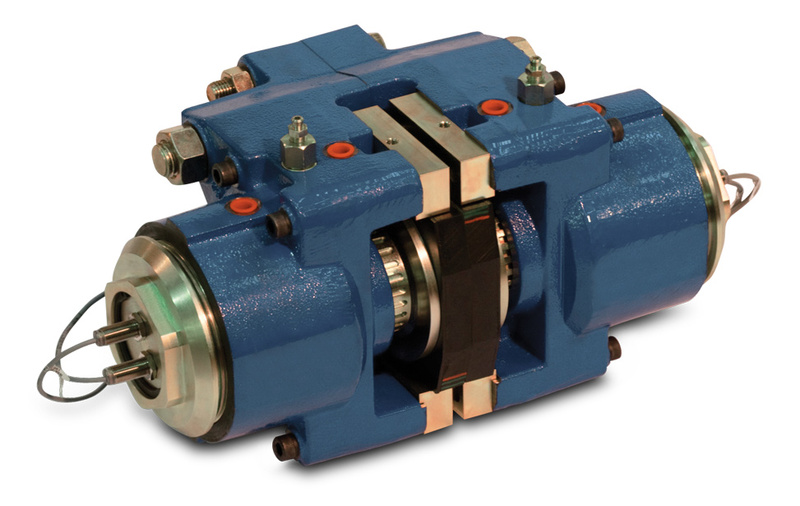 The VCS Mk4 Disc Brake Caliper is comprised of two modules located on either side of a mounting plate which could be made to accommodate brake discs of 20mm and over. Each module consists of a spring pack to provide the clamping/braking force. Minimum disc diameter is 500 mm. Normally one or two calipers are used per disc, but the number may be increased depending on disc size. The brakes may be positioned at any angle around the periphery of the disc, but should ideally be mounted horizontally (i.e. at the 3 o’clock or 9 o’clock position). A range of brake discs are available from Twiflex. Braking force ratings are achieved through a combination of shim number and air gap setting. Spring fatigue life is a function of the caliper rating. The Twiflex VKCS-FL disc brake caliper comprises a single spring module forming the ‘active’ side of this floating unit and is available for use where space is limited or to accommodate axial disc float of ±6mm. Braking force ratings are achieved through a combination of shim number and air gap setting. Spring fatigue life is a function of the caliper rating. The ratings shown in the table are based on fully bedded in and conditioned brake pads with a nominal friction coefficient µ = 0.4. 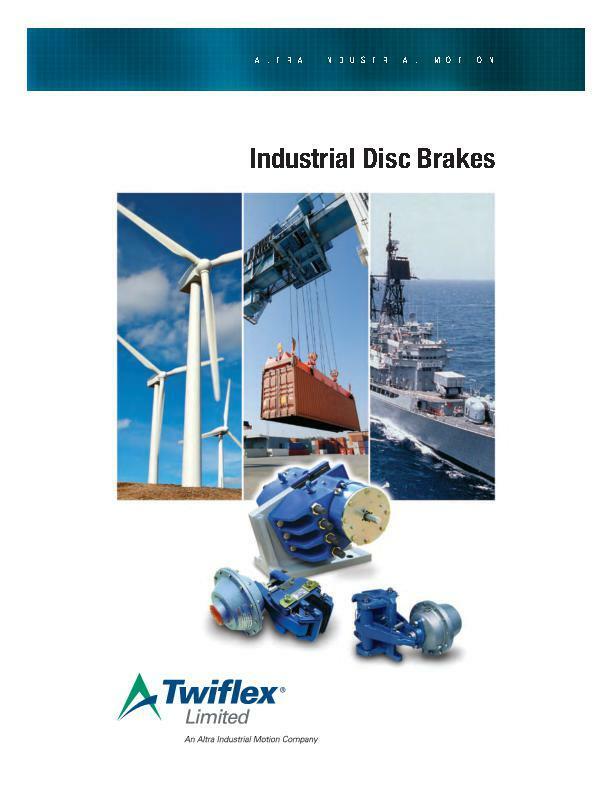 Twiflex disc brakes must be used with Twiflex asbestos free brake pads. Effective disc radius = actual radius (m) – 0.064m.